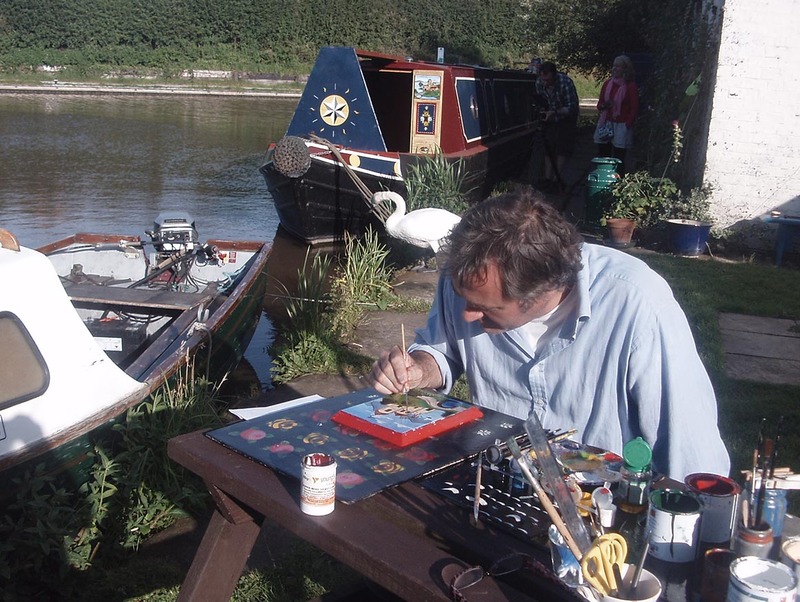 Roses and castles is the theme of the folk art that was used to decorate virtually every aspect of working narrow boats in the 19th century. This skillful art form has been revived by the Saltscape landscape partnership through the delivery of numerous workshops targeted at both adults and children. Overall 17 workshops have been run in schools and two adult workshops held with the help of Day Star Theatre. Participants were thrilled with the beautiful work they were able to produce and had a great time learning more about canal art and getting stuck in themselves.